Wow. If this app had been pitched to us on the 1st, I would have been sure it was an April Fool’s joke. Coming in a few days later, however, it seems almost genius. Given that my job of sitting in front of a computer and blasting out gadget news isn’t exactly an active one, I’ve gotta be fairly careful to avoid packin’ on the pounds. At one point this entailed keeping a fairly detailed journal of meal calorie counts tediously pulled ingredient by ingredient from a time-wrecking databases. As you can probably tell from my unenthusiastic tone and use of words like “tedious” and “time-wrecking”, that didn’t last too long. If this Meal Snap iPhone app works as promised, however, I might just go back to keeping track. The idea: Take a picture of your food, send it in to Meal Snap, and after some techno-sorcery and number crunching, it’ll spit out a rough estimate of the calorie count and track it for you. So, how does it work? While the company chalks it up to “magic”, we’re assuming they’ve got a handful of people (be it through Amazon’s Mechanical Turk, or a room full of dudes promised free Internet in exchange for calorie counting) breaking down the meal in your picture item by item. Snap a shot of a chicken salad? They punch in some chicken, some lettuce, maybe some dressing — and bam, they’ve got a rough estimate. Is it a precise science? Hardly. Even in the screenshot above, you can see that there are some pretty wild variations. A “Small handful of cashews”, for example, comes back as being anywhere from 150 to 614 calories. Still, having some idea of what you’re taking in is still far better than not having any idea at all. 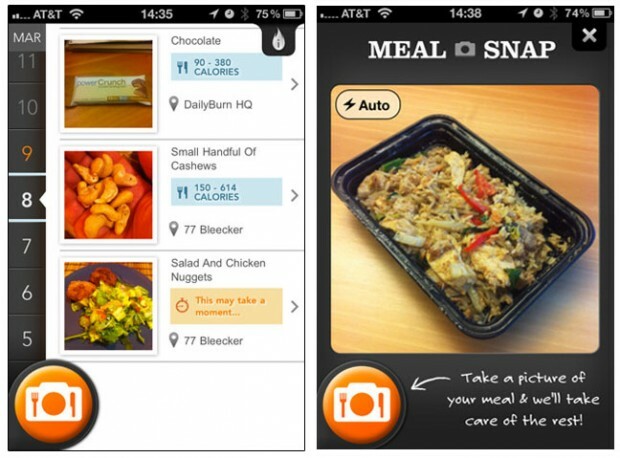 You can find MealSnap on the App Store for $2.99 right here [iTunes link].